After you've submitted payment for your subscription, we send out a basic receipt via email. If you need something a bit more detailed (e.g you need to add a VAT number, company address, etc. 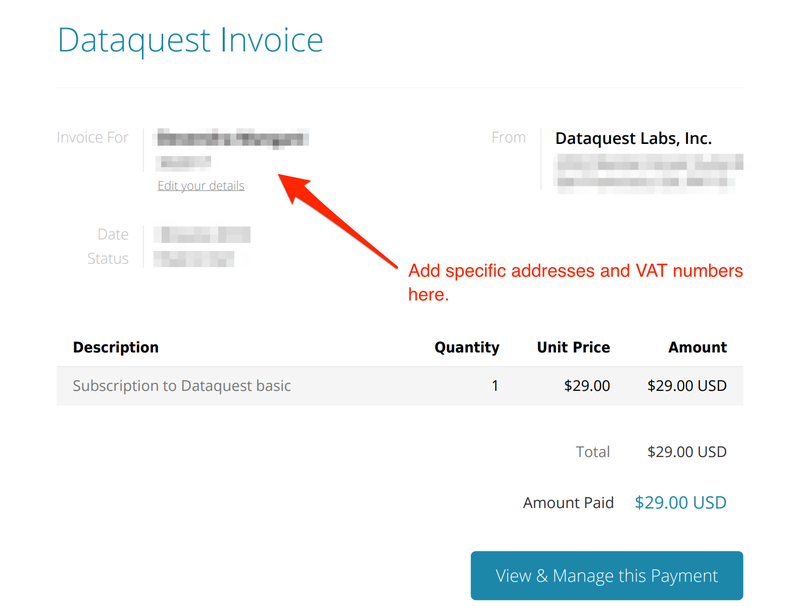 ), you can download a customizable invoice directly from your billing support page. Just shoot our support team an email and we'd be happy to generate a private link for you to access your support page with. I need a W9 form so I can be reimbursed by my company. If you need a W9 form, please reach out to our Support team by email or via the in-app messenger — we'd be happy to shoot a pre-filled W9 form over!